Premier Alaska Tours is proud to offer the finest fleet of coaches in Alaska. From the attention to detail from our wash crew to the professional Alaskan drivers, when service and comfort are needed, look no further than Premier. Motorcoach charters are available year round. Please fill out the form below to request a customized quote for Premier Alaska Tours motorcoach services. Thank you for requesting a motorcoach charter quote. We will be emailing you soon! 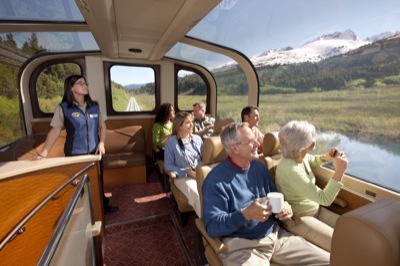 Premier Alaska Tours is proud to offer our new Wilderness Express Railcar. Premier Alaska Tours is THE Alaska receptive operator. Call us for large or small group travel - we've got Alaska down PAT! Premier Alaska Tours is a WHOLESALE Company and works directly with other Tour Operators and Wholesale Agents. If you are looking for information on available tours please contact your local Travel Agency. Watch this awesome video on how to pack to stay warm in Alaska during the Winter!